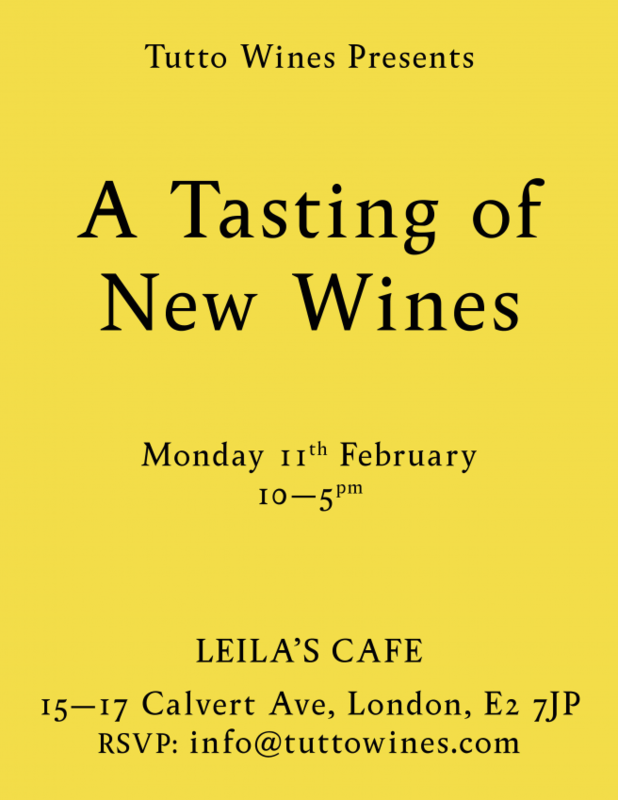 Our first tasting of the year will be A Tasting of New Wines on Monday 11th February at Leila’s Cafe in Shoreditch. Over the coming weeks we will be introducing two new growers we are very excited about working with. This will be the first time we will be showing their wines and we are thrilled to announce that one of them will be joining us on the day. We’ll also be pouring new releases from Domaine de l’Octavin, Cantina Giardino, La Grapperie, Le Coste, La Distesa and Marko Fon. In short, this is not one to be missed. The tasting will run from 10am-5pm and you can drop by anytime.